When I was very little, I loved the Ernest movies starring Jim Varney. So did my brother Roy and my cousins Andrew and Bess. 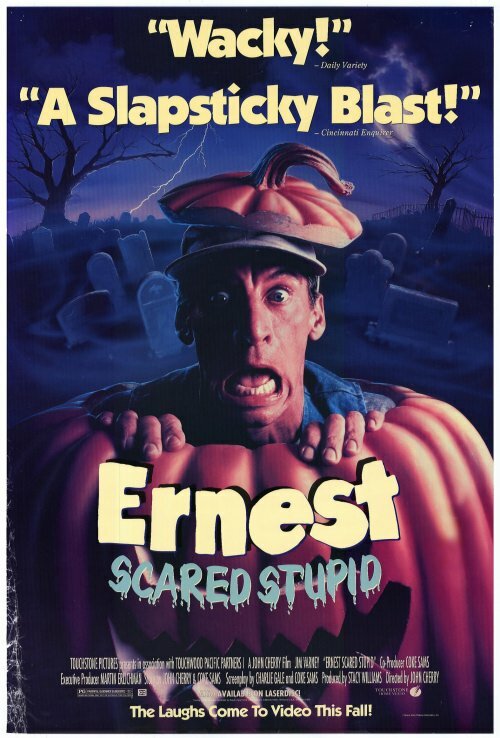 One night when we were visiting them in Atlanta, we rented Ernest Scared Stupid, in which Ernest must destroy a bunch of trolls on Halloween. It is the most absurd film to ever exist, culminating in Ernest dancing and kissing said evil troll. The four of us peered over blankets, laughing as though we weren’t actually terrified. I vowed never to watch a scary movie again. A couple years later, I became absolutely obsessed with Star Wars. Unfortunately, Bess did too. When we arrived for a week in the summer, I coveted the camo shawls her mom had made. 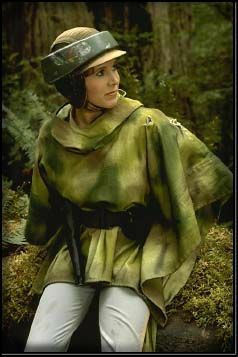 We wore them, pretending to be on Endor, while I hated every piece of trivia that she knew. Star Wars was my obsession, after all. Our similarities drove me nuts, but so did any differences that surfaced. Unlike everyone else on the planet, I was in love with Luke Skywalker. The fact that my younger cousin was somehow overlooking him in favor of Han Solo threw me into the sort of tantrum only a ten-year-old can muster. I whined and sulked. But I kept playing, because I was not going to pass up the chance to pretend to destroy the Death Star’s shield generator with a team of ewoks. The Browns were always a little more conservative than us, but it surprised me when they installed a device that blocked profanity on their TV and movies. Whenever a curse word appeared in a sentence, the sound would mute and a more child-friendly alternative would appear as text at the bottom of the screen. Although this was distracting, I discovered it was also entertaining. I shrieked with laughter every time the blocker missed the curse word and muted the following sentence instead. And I found myself analyzing curse words far more intensely, trying to figure out what “son of a clown!” and “I’ll beat your toe!” really meant. Rather unfortunately, the product sparked in me a renewed interest in cussing. I hope they got their money back. When I was in college, I took a roadtrip to Savannah with a friend who also had family in the area. 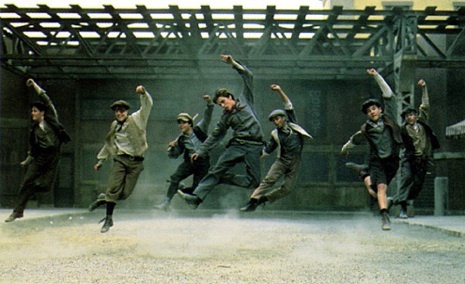 Visiting family on my own made me feel very grownup, so it is fitting that Bess introduced me to Newsies a decade too late during that trip. Christian Bale was already the star of the rebooted Batman franchise, and here we were swooning over his singing and dancing breakout role. She burned me a CD of the songs, and during the return trip to college, I sheepishly offered it to my friend. Luckily, she had loved the movie as a kid, and we belted out “Seize the Day” as we drove west. The tradition continued this weekend. We watched the original Jurassic Park trilogy in one evening. I adored Dr. Ian Malcolm, and Bess encouraged my obsession by laughing at my professions of love. We went to see Jurassic World during its opening weekend, and we both fell in love with Chris Pratt and his loyal velociraptors. 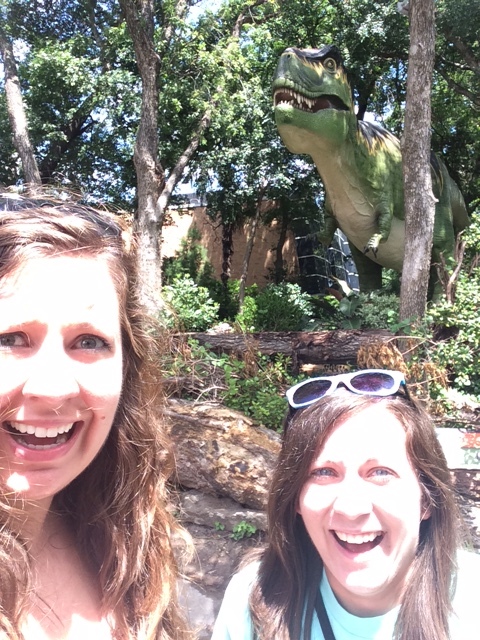 We wound up building a weekend around dinosaurs, visiting the Perot Museum’s fossils and the Dallas Zoo’s animatronic exhibits. Movies bled into real life, just like they bleed throughout most of my memories with Bess. I wouldn’t have it any other way.